Lloyd Wright designed the chair in 1949 for the living room of his Taliesin West home and studio in Arizona, where he lived until his death in 1959. This Taliesin 1 armchair is in production for the first time in 28 years. The complex angled structure of Taliesin 1, which ensures its stability, draws on his modernist architectural style. 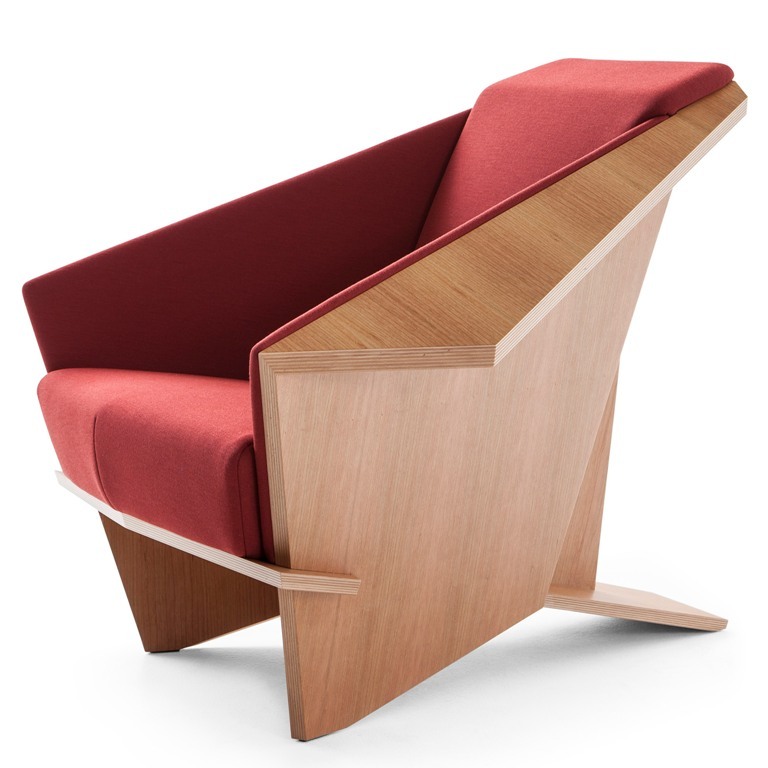 Constructed from a single piece of folded plywood, the chair has a characteristic “wooden origami” shape. In its latest iteration, the chair is updated with a slightly more reclined backrest and thicker padding, upholstered in leather or fabric. 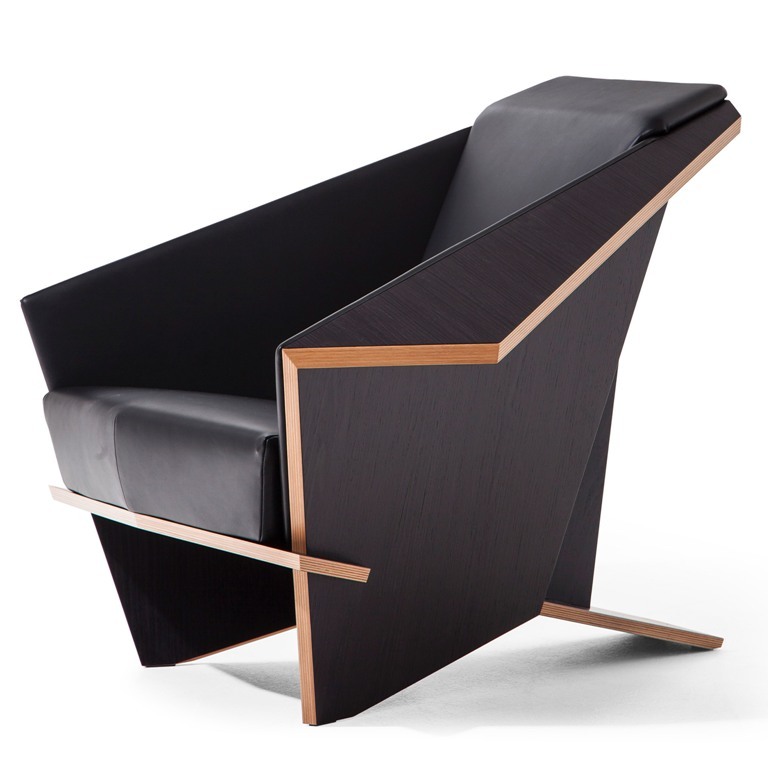 The original front feet have been removed to simplify the lines of the chair’s geometrical body, placing more emphasis on its folds. But, in keeping with Lloyd Wright’s design, the chair’s wooden edges are deliberately left visible. The chair is done in its original beech plywood form with a cherry wood veneer, which can be left natural or stained in black oak. This run of 450 chairs features three colors: burgundy, petrol green and dark blue. 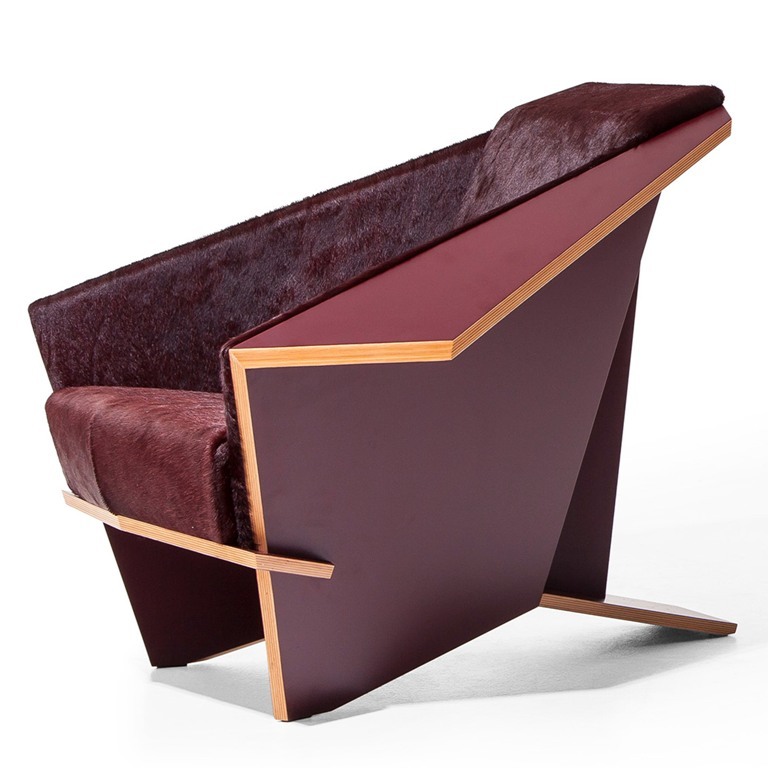 Also made from beech plywood, these coloured editions are matt lacquered and upholstered in short-hair leather in the same shade as the lacquer. A limited-edition series of the chair is available, upholstered in short-hair leather.